I am always interested in the way that items are chosen for report on our news programmes. Ukraine dominated for a while, and although I suspect that war still goes on, unless a fragile ceasefire is holding, we hear nothing. For a while the refugee crisis was at the heart of our news, but now, apart from another tragic spilling of an unseaworthy craft in the Mediterranean, we hear little. But the Jungle is still there (just), and refugee families and children still need homes, and the problems that drive people to flee their homes still force more people into desperate measures. The refugee crisis deserves to be more than fifteen minutes of fame (or should we say infamy) before the news machine rumbles off elsewhere to the winner of Britain’s Got Talent, shall we say, or the closeness of the planet Mars. Although World refugee Day falls in the middle of half term week this year, I hope that it will not be forgotten in any of our churches – and remembered next Sunday if possible. The diocese is doing good work on this front. Aidan Coleman has led a group carrying relief to the Jungle, parishes like Rhyl are acting as brokers to find homes for refugees, and TCC are lobbying local authorities on our behalf so that councils are persuaded to do what they can to demonstrate that Wales is an hospitable nation, and that refugees can be welcomed, cared for, and share in the building of our society. We are perhaps allowing ourselves to be shaped more by our fears than our hopes in north Wales. This is one cause which acts like a litmus test of where the Gospel should lead the Church. Please make an effort to support these colleagues, even if you do not know them well. 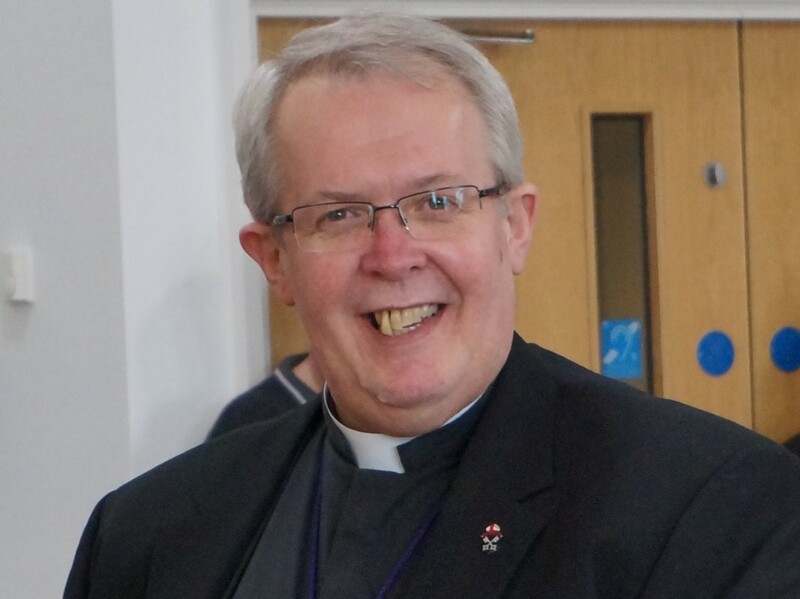 I am delighted that we will be joined by Bishop Jack Nicholls, whose rousing address at the last Clergy School many of us remember with affection. Jack will be leading the retreat for Bangor and St Asaph ordinands at St Beuno’s Spirituality Centre, and then preaching for us in the morning, and Bangor in the afternoon. 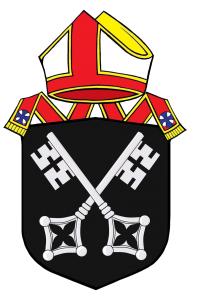 All diocesan clergy attending are asked to robe (alb or surplice and white stole) in the main hall at St Asaph VP School (located opposite the Cathedral car park). The ordination party and Cathedral Chapter are to robe in the Cathedral Song School. As usual, overflow car parking has been arranged at Ysgol Glan Clwyd. Time flies (where have I just read that phrase), and we are approaching the twentieth anniversary of the ordination of women to the priesthood in the Church in Wales. We can celebrate not only this decision, but also the fruitfulness of the ministry of all our priests, women and men, working alongside each other. I have invited the Rt Revd Rachel Treweek, the Bishop of Gloucester, to join us for a special celebratory Eucharist in the Cathedral on Saturday, 7th January, 2017, at 11.00hr in the Cathedral, and Sue Huyton has agreed to lead a working party to plan this event, and any other elements of our celebration that weekend. I hope to publish more details before long. I am very pleased to report the engagement of the Revd Alex Mayes to Mr George Bearwood (pictured right). We’ve known George and Alex as an item for a long time now, and send them our congratulations and support as they take the step towards marriage. I am sad, however, to announce the death of Clifford Bennett, former priest of this diocese. Clifford served as curate in Holywell prior to twenty years as parish priest of Pontblyddyn, and gave faithful service to the diocese and to Christ. May he rest in peace and rise in glory. I am also sorry to record a further number of family deaths this month: the death of Andrew Sully’s mother, Avril, David Ash’s mother, Rita, and Edward Yendall’s mother, Jean. Our thoughts and prayers go to Andrew, David and Edward, and all their families at this time. In the very near future a number of posts in the diocese will be advertised in the Church Times. The appropriate archdeacon or Mission Area Leader would be pleased to hear from any cleric who would like to have an informal conversation, or who can suggest the names of those elsewhere who might like to join the Teulu Asaph. The combined post of Mission Area Leader of Rhos and parish priest for Llanddulas and Llysfaen. 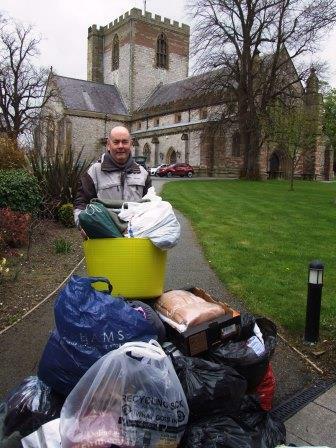 Vicar of Llandrillo yn Rhos in the emerging Rhos Mission Area. Vicar of Rhosllanerchrugog and Penycae in the emerging Offa Mission Area. Pioneer Priest/Second curacy in the emerging Estuary and Mountain Mission Area (Holywell). HfD Priest Guardian of the Shrine of St Melangell, Pennant Melangell, and Director of the St Melangell Centre. 19th July Commissioning of the Borderlands Mission Area, evening. 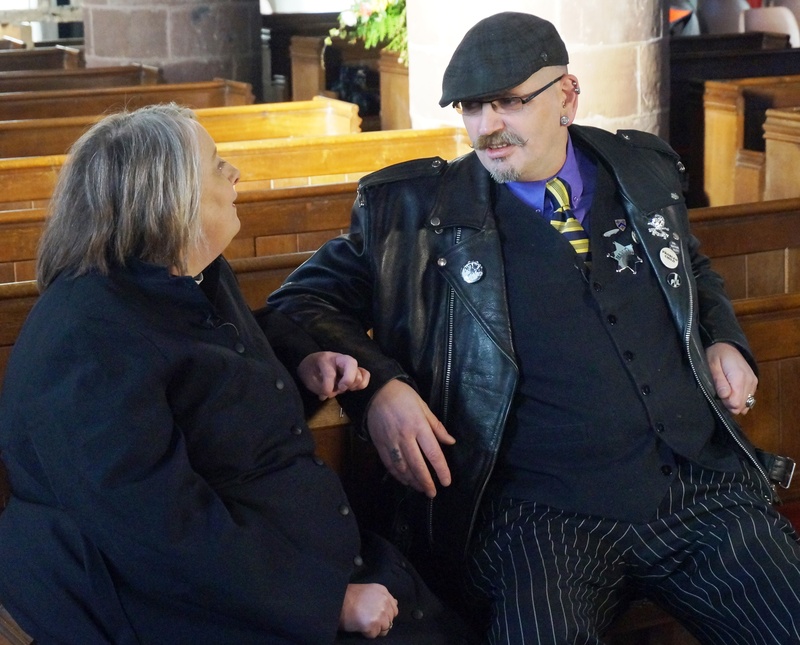 A last call for any who are celebrating significant anniversaries this year to join me for a celebration in the Cathedral. On Sunday, 19 June, there will be a special celebratory Eucharist at the Cathedral at 1100hr, in which we acknowledge and honour priestly service, and other ordained service in our diocese, and the celebrations such as 25 years and the ‘0’ or ‘5’ anniversaries. If you have a special anniversary this year that you would like to celebrate with us on June 19th then please contact my office at Esgobty as soon as possible. A reminder that Cynnal is a free confidential counselling service available throughout Wales for all members of the clergy, ministers of religion and their families. With Cynnal you can be assured that the support team is not only friendly and bilingual but also qualified to help you. Cynnal offers a holistic view of the individual as body, mind and spirit and recognises the spiritual dimension of life and, where appropriate, will refer on to others who can provide spiritual advice. You can call Cynnal for free, confidential information, advice and counselling on 0779 646 4045. You will already be in receipt of a communication from the Lead Canon to the Friends of the Cathedral regarding clergy membership of the Friends of The Cathedral. I very much want to support Quentin and the Friends as a group and I very much hope you will give his request your due consideration. I am delighted to have been invited as one of the guest speakers for this year’s programme and I look forward to delivering my lecture later this month on one of my favourite pastimes, the study of flags. I’m aware there have been a few changes recently in personnel dealing with safeguarding matters on both a provincial and diocesan level and thought you may appreciate this update of contacts. Safeguarding concerns or complaints should be referred in the first instance to Elaine Cloke Head of Safeguarding. Her contact details are elainecloke@churchinwales.org.uk telephone number 02920348200 or 07787244037. Prior to the end of June 2016, if Elaine should be unavailable then the matter will automatically be transferred to Fay Howe Provincial Safeguarding Officer who will deal with the matter. Wendy Lemon will be taking up her role as Provincial Safeguarding Officer and will be based in North Wales from 29 June 2016. Following a period of induction will deal with complaints or concerns arising in the Diocese of St Asaph as well as Bangor and St David’s. Her email address will be wendylemon@churchinwales.org.uk. Her telephone details will be notified at a later date. We welcome Wendy to this role. I am pleased to say that Joy Kett Safeguarding Support Officer will resume her work in the Diocese of St Asaph at the end of June 2016 following a period of illness. Joy will be primarily responsible for supporting the diocese and parishes in training and development for safe ministry. Her email address is joykett@churchinwales.org.uk.